The brand MUA released a new eyeshadow palette: the Elysium Palette. 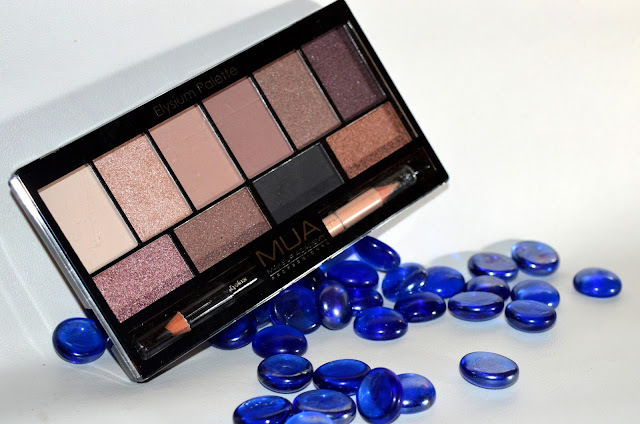 I have always been a fan of the MUA products. The quality of their products is so great and you don't pay a lot for them. 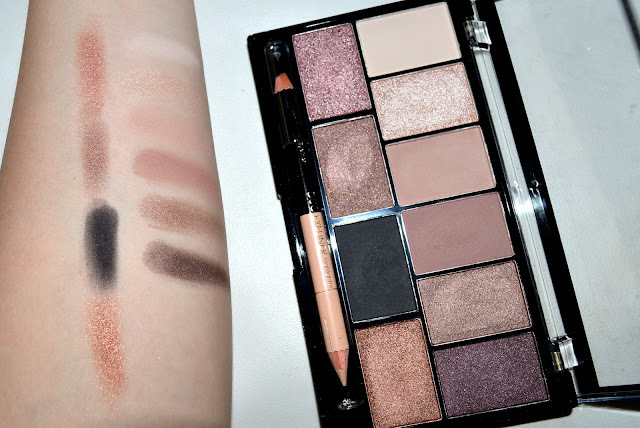 When you look at the palette, you see that there are 10 eyeshadow colors in it. 4 matte eyeshadows and 6 shimmery ones. For the first time ever, MUA includes a duo eyeliner in an eyeshadow palette. The eyeliner comes in the colors black and beige. Black to put on your upper lashline, and beige to put on your waterline to make your eyes look bigger. The pigmentation of this palette is, as usual with the MUA palettes, very good. But as known, you have to be carefull for fallout because the colors have a very powdery texture. I like this palette a lot. This palette reminds me of the Urban Decay Naked palettes. For this Elysium Palette you only pay € 7,99 in your local drugstore. 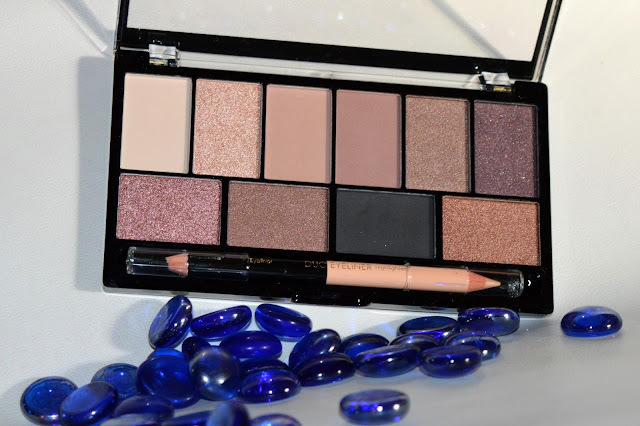 Will you buy this new MUA Elysium Palette? Wow deze palette is zo mooi en de pigmentatie is prachtig. Dit palette bevat goede pigmentatie zeg, prachtig!